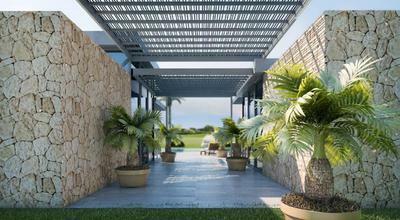 Spain is notoriously one of the most enquired about destinations for Brits buying holiday homes abroad. Whether it’s a detached villa, a stylish penthouse or simply a duplex perfect for a retreat, the Spanish second home market attracts all types but increasingly its more affluent buyers that are seeking that dream place in the Spanish sun. Indeed, leading housebuilder, Taylor Wimpey Espana has seen buyer budgets’ rise over the past 18 – 24 months by an average of 10%. Today a Taylor Wimpey Espana home in Spain will cost on average (£350.000). So what’s fuelling this rise in spending? According to Taylor Wimpey Espana, which has been selling homes in Spain for almost 60 years, the rise is primarily accounted for by the sale of properties within more luxurious (and hence expensive) new developments to affluent overseas buyers. Looking at the first quarter of 2017 for instance, there was an increase in customer reservations for Taylor Wimpey Espana’s most lavish properties such as Serenity or Casa Vinyes Hills located on the exclusive island of Mallorca. In total, the leading British developer completed nearly 30% more properties across Spain in H1 2017 than H1 2016, and grew their order book by nearly 2%. In terms of where these wealthy buyers are looking, the enquiries that Marc and the team at Taylor Wimpey Espana receive are primarily for specific, high value areas of Marbella of the Costa del Sol, Nova Santa Ponsa and Port Andratx in Mallorca and Villajoyosa on the Costa Blanca. 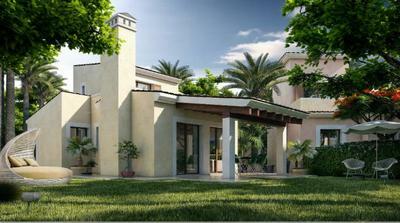 And it is due to this growing demand that Taylor Wimpey Espana has launched new luxury developments in these areas. Significant price increases have also been seen on Mallorca which is turning the heads of wealthy individuals, here the average price of properties has reached £375,000 + VAT. 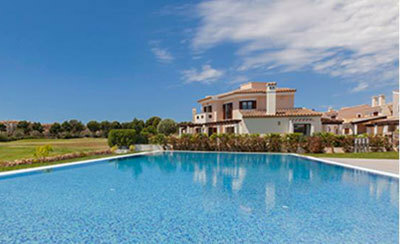 This year, Marina Golf situated in south-west of Mallorca was the location of the most expensive property available through Taylor Wimpey Espana. Customers could acquire spacious villas from 145 m², complete with 30 m² private terrace, large gardens to enjoy warm Mediterranean evenings and a swimming pool twice the standard size. Each townhouse comprised three bedrooms and three bathrooms with air conditioning, all available from £531,000 + VAT . The most expensive one was sold at £880,000 + VAT. In order to ensure the maximum amount of light, these properties are also southwest facing so the sun can be enjoyed for most of the day and just 30 minutes’ drive to Palma international airport.